Before switching to AireSpring, HGi used a premises-based NEC PBX across its three locations. Voice quality was adequate, but the system was inflexible and lacking in robust features. As a modern office solutions company, HGi required a modern office phone system with an advanced set of features and unified communications capabilities. Not only was HGi Technologies using an outdated system which hindered communications, but they felt they were paying more for less. 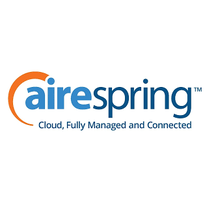 Seeking a modern business phone system at a reasonable price, they reached out to a communications consultant who recommended AireSpring.